If you have created Location-Specific Positions, you can create Position Groups, creating a shortcut to view just one location’s Positions. The Group names appear at the top of the Positions dropdown menu, allowing you to filter your view to one custom Position Group at a time. 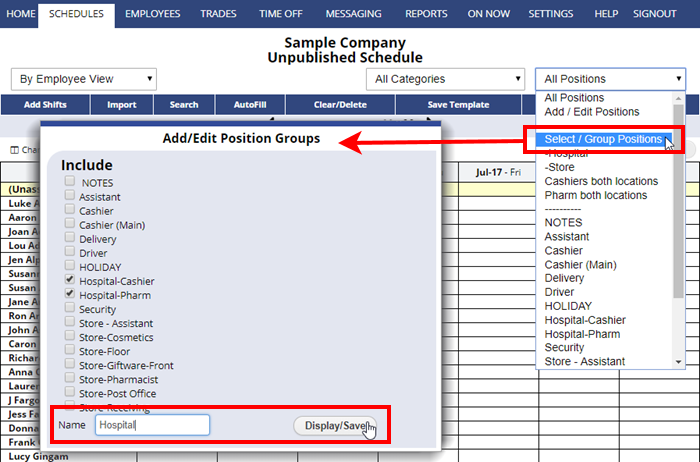 You can create any number of Position Groups, so you can show one Group of all of your Cashiers (in all locations), or another Group of all Positions in one particular location, etc.